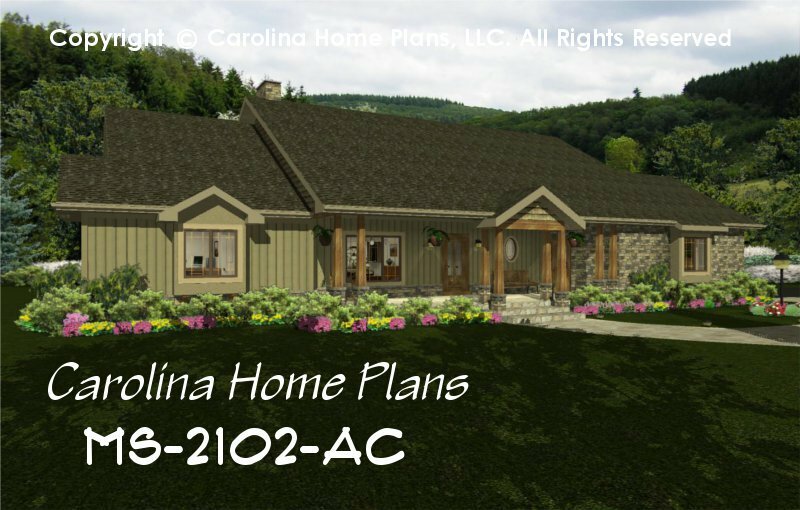 This midsize craftsman style country home features a spacious open floor plan, 9' ceilings, dual master suites opening to a large screened porch and a third bedroom or study with bath. Both master bedrooms boast large walk-in closets and luxury baths. 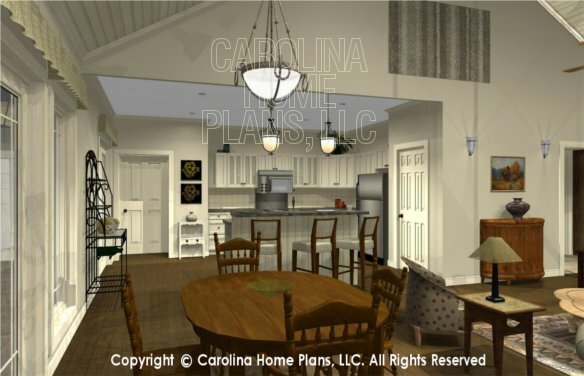 The front to back great room with vaulted ceiling is open to a large, well-equipped kitchen with lunch counter island and provides access to the screened porch for easy entertaining. 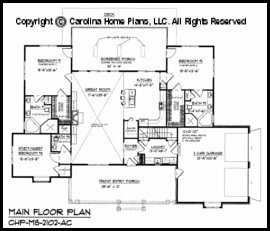 The split bedroom layout, as well as laundry/mud room and stairs to an optional bonus room above the garage, offer plenty of functional space. 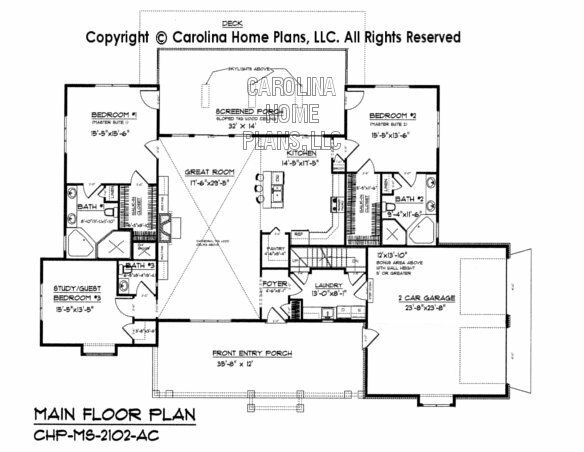 The plan also features a full basement for storage or future expansion, as well as a crawl space/slab option. Available options and pricing: See below. 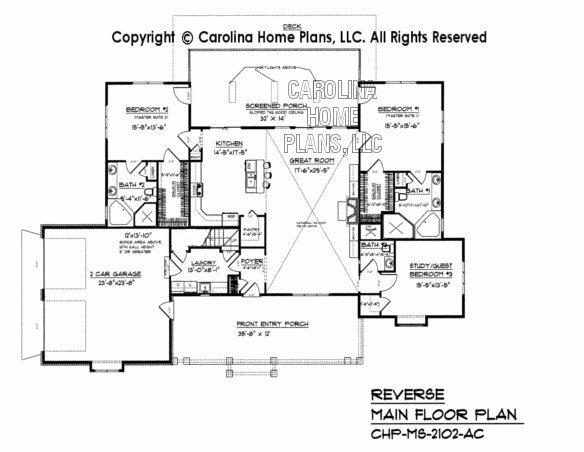 Since so many of you have loved our "Odd Couple" plan (small split bedroom with dual master suite) but needed a larger version, we have designed the same open floor plan with more square footage, larger bedrooms rooms and especially a larger garage with an optional bonus room above. See Typical Plan Sheets for details. PDF Files are available in a separate section.